Hi Ladies! I hope you're all well and having a fantastic Pancake day. If you're eating pancakes right now - I am SO jealous! My feast of pancakes is being delayed until tomorrow as my boyfriend is out at a work event tonight and we decided we'd rather enjoy pancakes together tomorrow night instead (gosh, that sounds so soppy!). Anyway, instead of scoffing pancakes, I'm blogging, yey. Today I want to share a couple of MAC eyeshadows I've been absolutely loving at the moment - Sumptuous Olive and Club. I got both of these shadows for Christmas to pop in my MAC pro palette and I think they're the perfect shades to add an slight twist to a classic gold and brown or grey and black smokey eye. Now I realise the colour green may sound scary and before I received these two shadows for Christmas, the thought of putting it anywhere near my eyelids was slightly daunting. However, after looking at swatches of MAC eyeshadows online, Sumptuous Olive really stood out to me as a lovely alternative to the standard gold eyeshadows I'd normally opt for. As you can see in the above swatches, it isn't remotely in your face 'green' but instead a brassy gold shade with subtle olive tones running through it. I think its an absolutely beautiful shade and definitely one of my new favourites. I've been wearing it all over my lid and the intensity of the colour is just incredible. Its very highly pigmented and has the most beautiful metallic finish. Club was more of a random choice as its not a MAC eyeshadow I'm very familiar with. 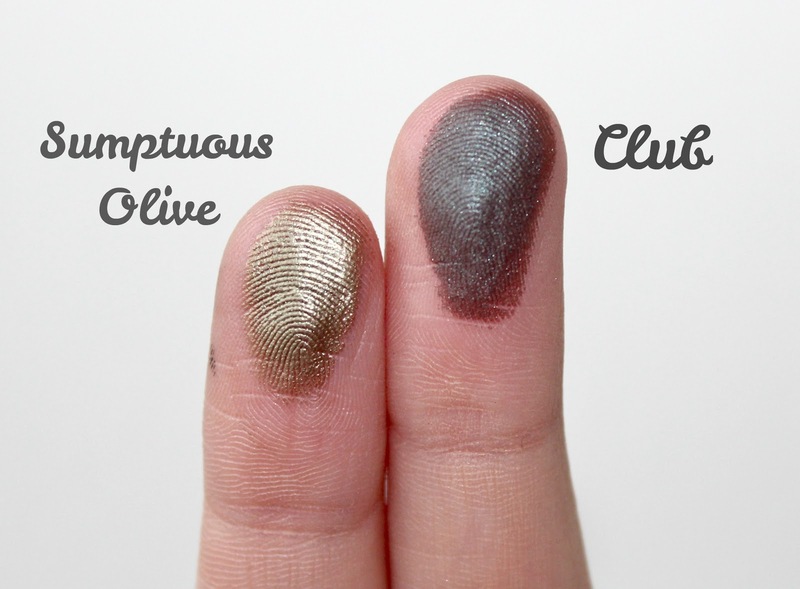 I'd heard so much about Sumptuous Olive before I picked it that it was an obvious choice but Club isn't one I've seen mentioned all that much on other blogs. However, while googling swatches to help me make my mind up (as us bloggers do), I just adored the unusual shade and had to have it. The way I'd describe it is a deep brown/navy with hints of green and blue running through it. Its very unusual and unlike any other eyeshadow in my collection which is why I love it so much. Much like Sumptuous Olive its exceptionally pigmented and I love how the two shades work together as a pair. In the above photos I've applied Sumptuous Olive all over my lid and blended Club into the crease/outer corner to add another dimension to the look. As you can see Club really deepens the look and adds a pop of green without making it too over the top. I also smudged both shadows under my bottom lash-line too which gives a nice sultry effect. I then popped on my super black 'Feline' eyeliner, also from MAC, and a coat of mascara. Wallah, look complete! It was really easy to create and I think its very versatile too. Although it looks dramatic in the above photos, when applied with a light hand you can also create a subtle daytime look. I'd probably play the look up even more for a night out too with some feline flicks and false lashes! As well as being great colours, the quality of MAC eyeshadows is second to none. They are hands down the best eyeshadows I've ever used in terms of pigmentation, application and longevity and these two shades are no exception. I've been really enjoying using them and its nice to wear something other than gold and brown on my eyes for once. You can find both of them here on the MAC website. They cost £10.00 in pan form and £12.00 in a pot so not too bad considering they last such a long time too. What do you think of these eyeshadows? Is this a look you could see yourself wearing? I just love these colour eye shadows, MAC is a favourite of mine for cosmetics. I'm loving the Sumptuous Olive, they're both rich colours that give off a luxe vibe! Enjoy your pancakes tomorrow darling! Love these two together. Enjoy your pancake day! Holy macaroni that is STUNNING! I think olive tones are gorgeous but I always worry about how wearable they are for lighter skintones, but they look lovely on you, so I might be brave enough to try now! I love these colours they look so so pretty :) really love this eye look!! These are such beautiful shades and I really love how you've applied them together :) I really want to try some green eye shadows now! I never really venture away from brown. Love these shades! I own Club but surpriseingly this is the first time I've heard of Sumptuous Olive, but I'm going to check it out anyway! :D Amazing blog post! They really bring out the colour of your eyes! Love the look you've created. You should try mac humid if your looking for another type of green. I really love it. these colours are so gorgeous! does it make the colour of your eyes pop ? I love a smokey eye but i like to change the colours around like golds or purples etc but these are a must to eventually own these two shades & the pigmentation is just wow! This combo is amazing, and really makes your eyes stand out! I have club, and I love it, but I haven't worn it in a while! Looks SO beautiful with your eyes! Hi those eye shadows are gorgeous! 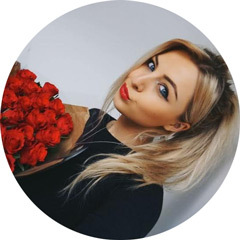 I'm a new blogger and a new follower and would love it if you could follow or maybe comment on my blog! Amazing colours! Club is SO unusual, reminds me of a bare minerals eyeshadow in Mirage that I've been lusting over! These colours are ones I'd never usually pick, but you really make them work. A really gorgeous look! oh wow they are gorgeous! I am yet to actually try MAC eyeshadow, definitely need to though! I absolutely LOVE your blog, and you've introduced me to loads of new products! These two colours look like they will be finding their way into my stash soon too! so glad i found this post and your blog! wanted to get some new mac eyeshadows for ages now especially a green or cranberry toned one! This is such a gorgeous look and those colours look beautiful with your eye colour! sumptuous olive is such a pretty eyeshadow!